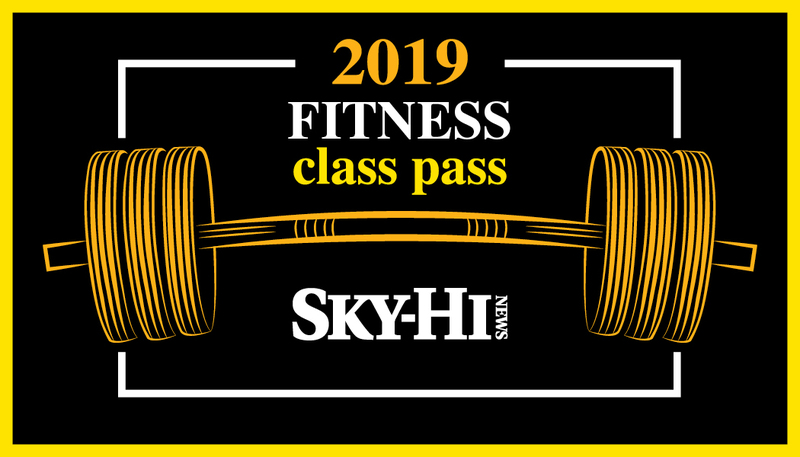 In conjunction with six Grand County fitness facilities, The Sky-Hi News is presenting the inaugural 2019 Fitness Class Pass. The limited-edition pass allows cardholders to visit six gyms one time per month beginning March 1 through Aug. 31, 2019. That equates to 36 drop-in visits. The card costs just $89, which means each visit is less than $2.50. In addition, the first 15 purchasers will receive a free water bottle. Our 2019 Sky-Hi News partners are: CrossFit Thin Air, Granby Recreation Department, Mountain Beast Fitness, Polestar Pilates, Total Body Fitness and YMCA- Snow Mountain Ranch. The Fitness Class Pass is great for locals, second-home owners and guests who want to vary their workouts without having to join several gyms. It also is a great way to showcase the variety of gyms and workouts available in the region. The Sky-Hi News is selling only 150 passes in 2019, and they can be purchased at http://www.fitnessclasspasses.com. Passes may be mailed to the purchasers or picked up at the Sky-Hi News office at 424 E. Agate Ave. in Granby. For more information, contact Sky-Hi News publisher Emma Trainor at etrainor@skyhinews.com.